DETROIT — The entrepreneurship group TiE Detroit has launched its search for high school entrepreneurs and innovators, its TiE Young Entrepreneurs (TYE) program. 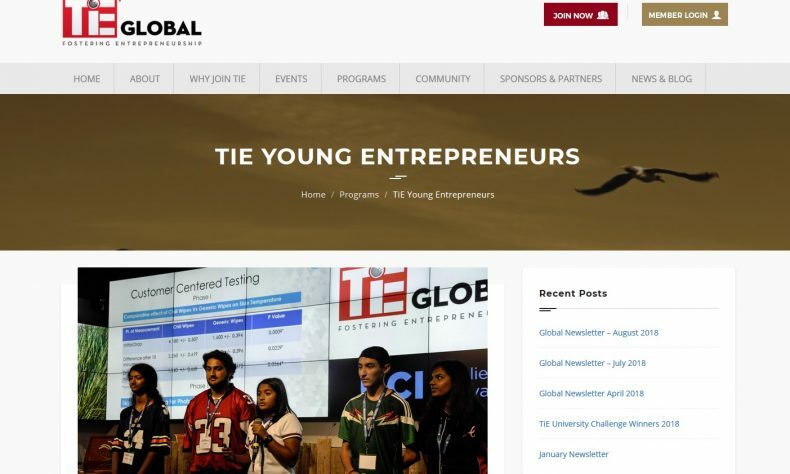 The organization said TYE is a global program fostering future generations of entrepreneurs by teaching high school students the rewards and challenges of becoming an entrepreneur. In a six-month program, students in grades 9-12 use modern skills and tools to build a business concept using customer feedback, iternation, and business modeling. The deadline for applications in the program is Sunday, Dec. 9. The TYE program begins Sunday, Dec. 16 at Kyyba in Farmington Hills. The program entry fee is $500 and includes free attendance to TiE Pitch Club, networking with TiE Charter Members across the globe, and free attendance to TiECon Detroit 2019. A total of $10,000 will be awarded to teams in the TYE Global Finals. For more information, visit https://tie.org/programs/tye-global-program/. The application for teams in the Detroit area may be found at this link.